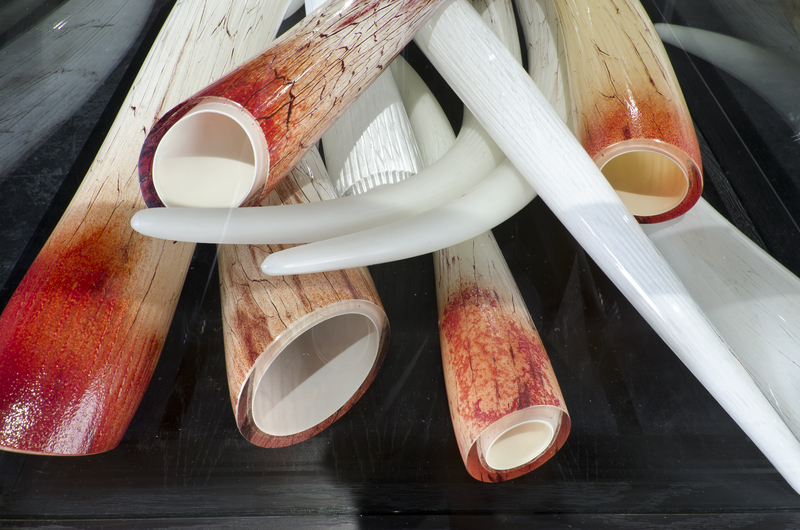 Wendy Maruyama: The wildLIFE Project illustrates the plight of elephants and the illegal ivory trade. 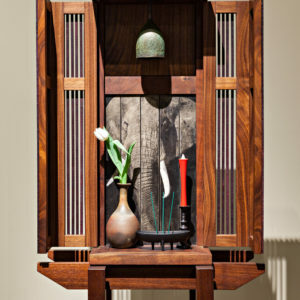 Through a moving installation of life-sized objects made from exotic woods and string and shrine-like forms made from steel and glass, the show makes a compelling case for the preservation of animals in the wild. With a career spanning four decades, artist and educator Wendy Maruyama designs furniture pieces and imbues them with artistic references and themes related to her Japanese heritage. Incredibly innovative and always going against the grain, Maruyama’s early work combined ideologies of feminism and studio-furniture forms. 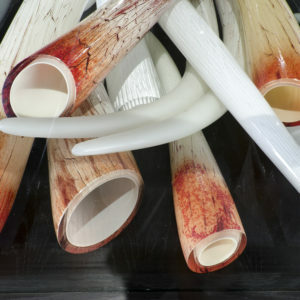 Her practice continues to move beyond the boundaries of traditional studio craft and into the realm of social practice. 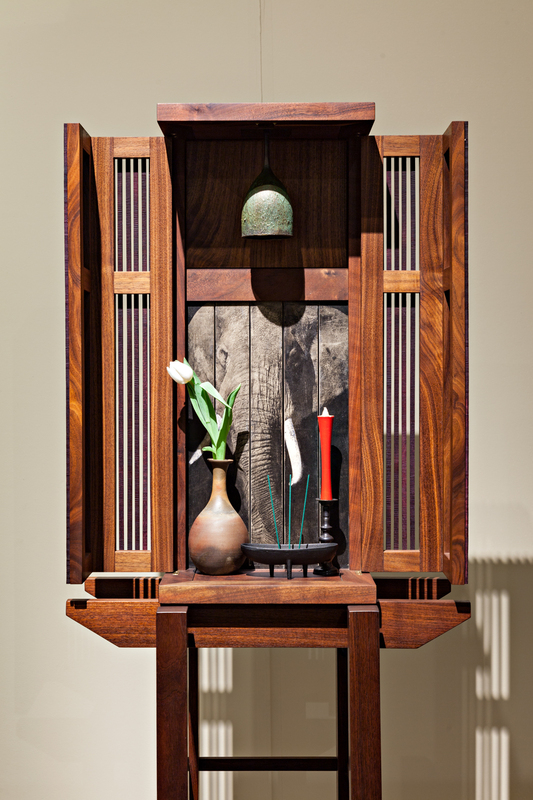 In recent years, her work has taken a narrative direction, integrating images and text into shrine-like cabinet forms, which add an additional layer of sensory experience for the viewer. 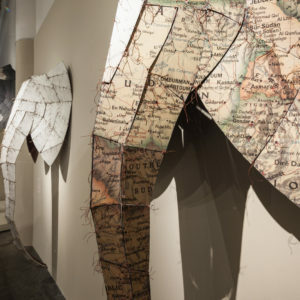 The wildLIFE Project serves to illustrate the plight of elephants, rhinoceros and other endangered wildlife, a cause that is very personal to the artist. During a sojourn to Kenya, she met with wildlife advocates to investigate the dangers of continued poaching of both elephants and rhinos. The trip served as a source of inspiration for the artist to create a new body of work and incorporate a strong societal message. 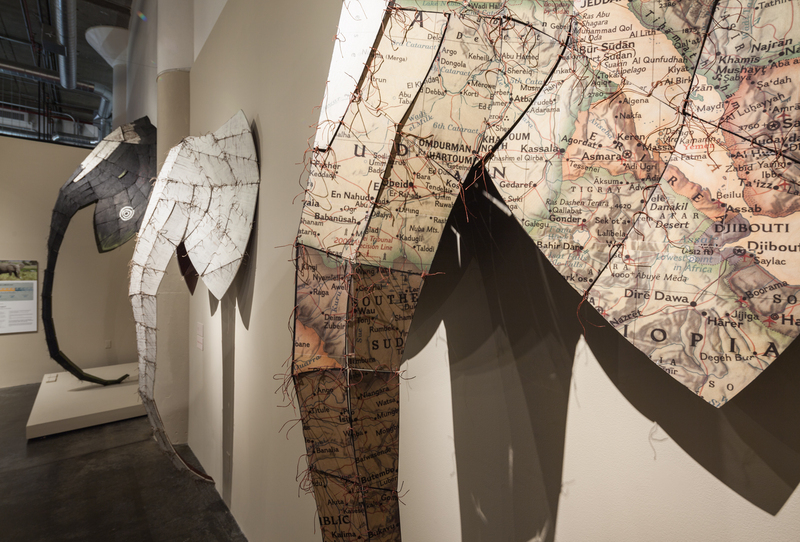 Wendy Maruyama: The wildLIFE Project is organized by Houston Center for Contemporary Craft and curated by Elizabeth Kozlowski. The exhibition is made possible by generous support from the Windgate Charitable Foundation.